The International School of Music offers a wide variety of pre-school music classes for children as young as 6 months old. Early Childhood Music classes offer age-appropriate activities including: singing, dancing, listening, playing pitched and non-pitched instruments, music games, rhythm games, and stories. The fun of music- making is supplemented with colorful scarves, puppets, balls, hoops, instruments and even a parachute! 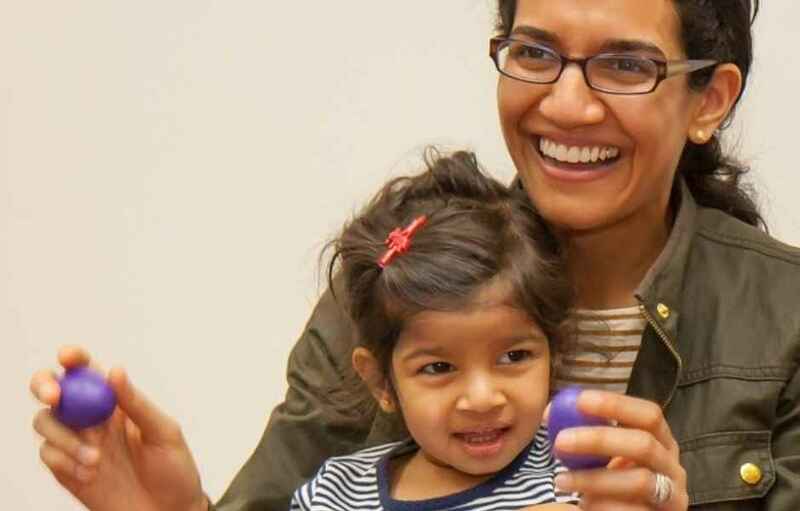 Our classes help develop social, cognitive, emotional, and physical skills through play: crawling, climbing, jumping, finger-plays, singing a varied repertoire of songs, balancing, bouncing, using art materials, playing percussion instruments, sharing toys, etc. Our teachers foster a deep-rooted love for music in a stimulating, playful environment by introducing students to fundamental music concepts such as rhythm, meter, dynamics, melody, pitch, timbre, improvisation, mood and expressiveness. Children develop inner hearing, listening skills, rhythmic sensitivity, motor control, and concentration, enabling a smooth transition to instrumental lessons. And, when you are searching for preschool music classes near me, you’ll note that we are only minutes away from students in Bethesda, Potomac, Rockville, Chevy Chase and Washington D.C.
Our classes are ongoing, so you can start at any time. Call 301-365-5888 Today to sign up for your Free Trial Class or book it online! The International School of Music teachers are musicians who are trained in early childhood educational methods. Our instructors are specially recruited because they are passionate about child development and sensitive to each child’s individual personality, talents, and needs. Our Early Childhood Music classes are structured to specific age groups by using developmentally appropriate curricula, since children develop at different rates, particularly when they are very young. Our toddler classes and preschool music classes build skills step-by-step. The program grows from one class to the next, preparing each child for fulfilling individual instruction. And best of all, our preschool music classes are engaging, creative & fun! Toddler Tones classes offer a musical experience for parents and young children through singing, movement and exploration. 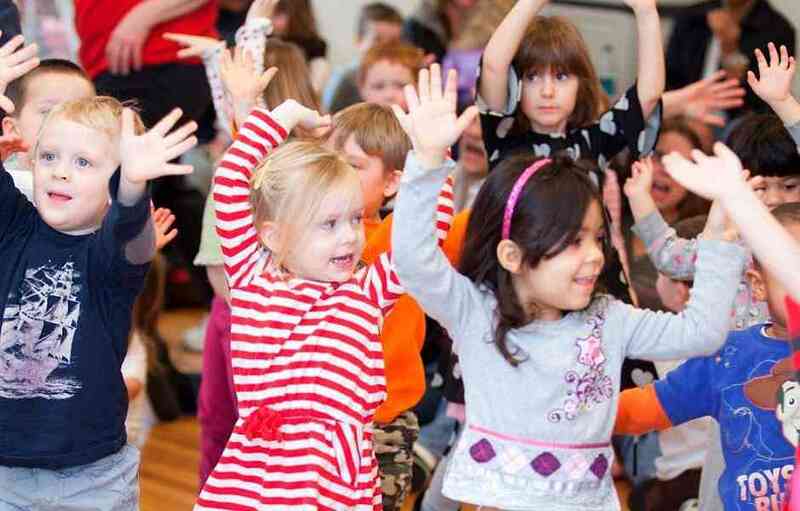 The classes engage children through songs, dance, chants, games, finger play and exposure to non-pitched instruments which all make this class a wonderful musical experience. 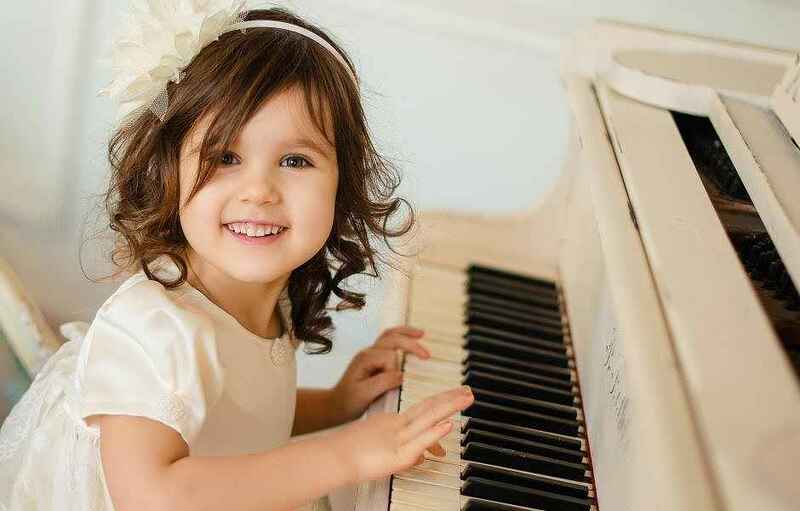 Children develop the coordination needed to play instruments, words to simple songs, recognition of different rhythms and the ability to differentiate musical factors like pitch, volume, and time. 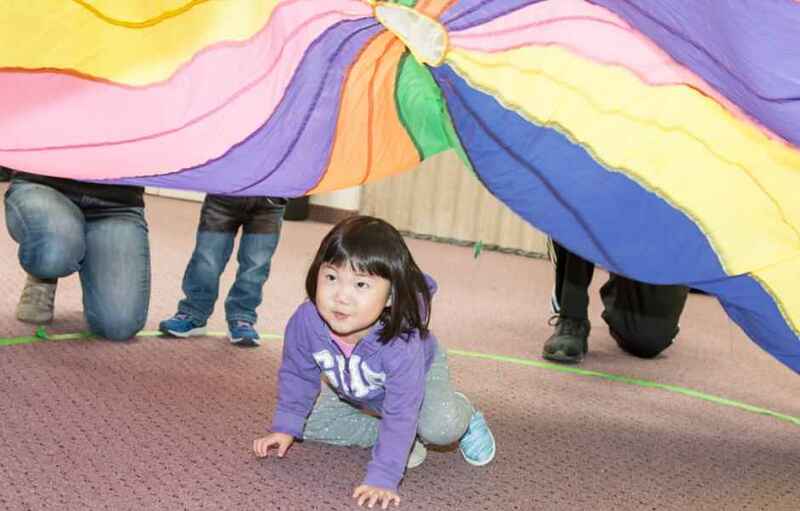 Through improvisation, rhythms, play, acting, movement and song, this class will offer fun for you and your toddler. Call 301-365-5888 for a Free Trial or book it online! This class encourages developing minds to improvise and stretch their imaginations through music. What would wind sound like at the piano? Could a painting turn into music? We create artwork and conjure pictures in our minds, then use the piano and other percussion instruments to make our thoughts come to life. In this class, children will become more aware of pitch and rhythm, recognize the sound of different instruments, become more expressive through music, and develop more sophisticated movement to music. The class is cumulative, year round curriculum and adjusted for variety of themes at the discretion of the instructor. Call 301-365-5888 for a Free Trial or book it online! This class is designed to promote musical independence, and to boost cognitive understanding of music. Students enjoy partner activities, musical games, and continue work with more advanced concepts such as tempo, dynamics, and timbre. Rhythm, songs, and vocal patterns are continued, while children are encouraged to begin creating their own music through simple rhythmic patterns and melodies. The goal of this class is to nurture the musical intelligence of each child by providing opportunities to explore musical concepts through a variety of sounds, instruments and recordings. The class is cumulative, year round curriculum and adjusted for variety of themes at the discretion of the instructor. Call 301-365-5888 for a Free Trial or book it online! What does it feel like to hold a violin in your hands? How do you make a sound on a guitar? 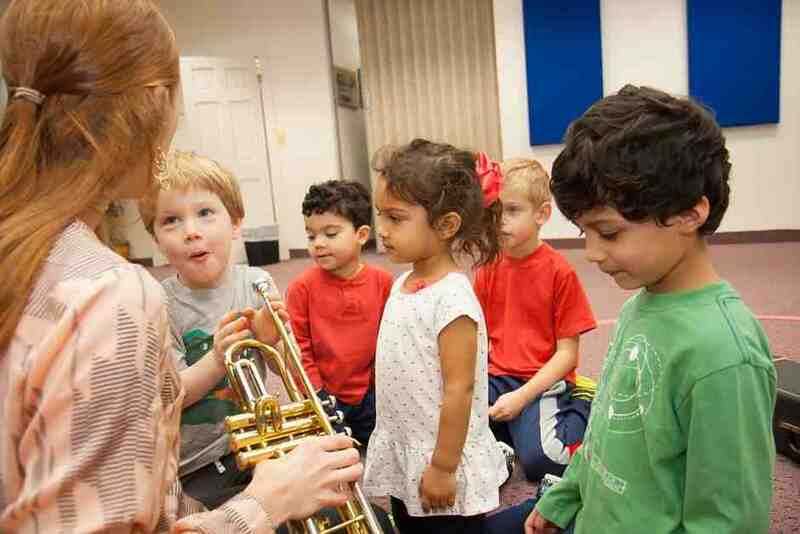 Children learn about different instruments by seeing, touching, and hearing them. This class covers wind, percussion and string instruments. Additionally, these instruments are used to introduce melody and music notation. “Instrument Explorers” is a first introduction to musical instruments, in which they can discover their favorite for when they are ready to move to private instruction. The class is cumulative, year round curriculum and adjusted for variety of themes at the discretion of the instructor. Call 301-365-5888 for a Free Trial or book it online! This is a first exploration of keyboard instruments where children are introduced to the building blocks of music: rhythm, pitch, note reading, and technique through playing games. By the end of the semester, children will be able to perform simple melodies on the piano. It is recommended students have access to a piano or keyboard outside of class to maximize their experience. The class is cumulative, year round curriculum and adjusted for variety of themes at the discretion of the instructor. It serves as a great preparation for private lessons. Class size is limited to six students. Call 301-365-5888 for a Free Trial or book it online! Designed for children who love to sing! This class introduces fun vocal warm ups, vocal exercises, proper breathing, posture and simple repertoire. Students are also introduced to musical notation as well as basic music terminology, terms, techniques and ear training. Musical selections include folk songs, children’s rhymes and simple choral literature suited to young voices. The class is cumulative, year round curriculum and adjusted for variety of themes at the discretion of the instructor. Call 301-365-5888 for a Free Trial or book it online! Private Suzuki lessons are available in Violin, Viola, Cello, Piano and Guitar. At the heart of the Suzuki philosophy is the belief that children learn music in exactly the same manner in which they absorb language; through constant immersion and repetition in the home environment. Just as all children can learn to speak their native tongue, so too can all children become proficient in music. 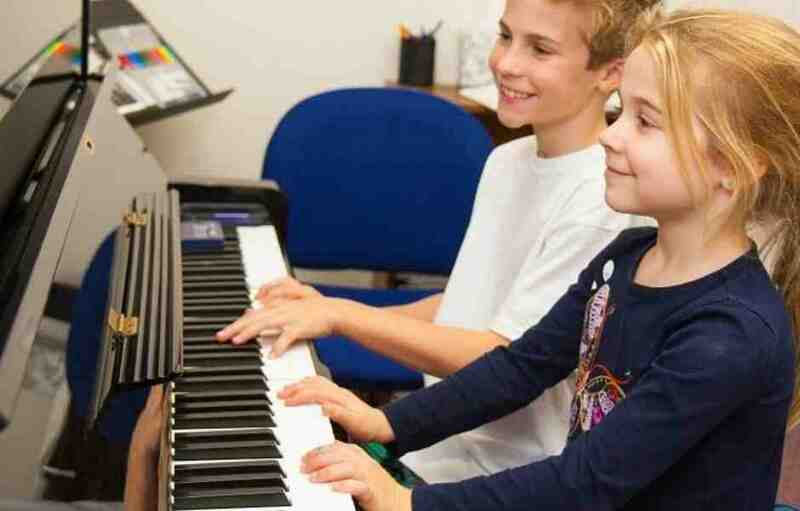 Our Suzuki lessons focus on ear training, good instrumental technique, and tone before children are introduced to the complexities of written music. Our instructors use the traditional Suzuki repertoire books and special teaching techniques derived from intensive training. Call 301-365-5888 to schedule a Trial Today! Individual instruction is at the heart of the ISM program and is available to students as young as 5 years old. Our teachers use a creative and nurturing approach that makes music enjoyable for your child. They are dedicated to making your child’s learning experience stimulating and fun. 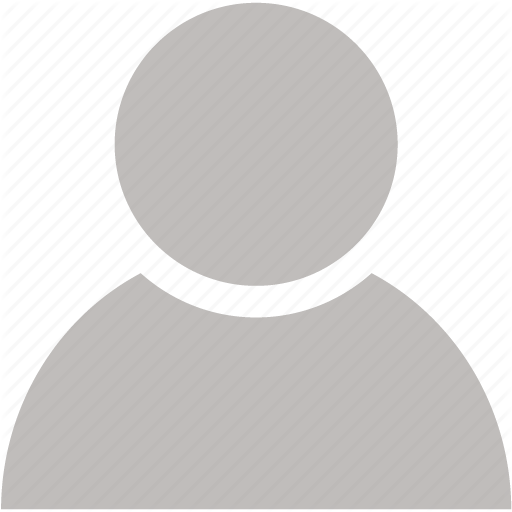 We recommend to start with 30 minute private weekly lessons and they can be started any time of the year or month. Students are assigned to a teacher whose teaching style most closely complements the student’s learning style and personality. Call 301-365-5888 for a Trial Today! It's easy to take the next step: Call us at 301-365-5888 and start Your Musical Journey Today!